Yet another coffee cup painting. I can't get away from it. I guess it's a somewhat popular motif among the art-loving world, and I'm pretty much on board with it as well. 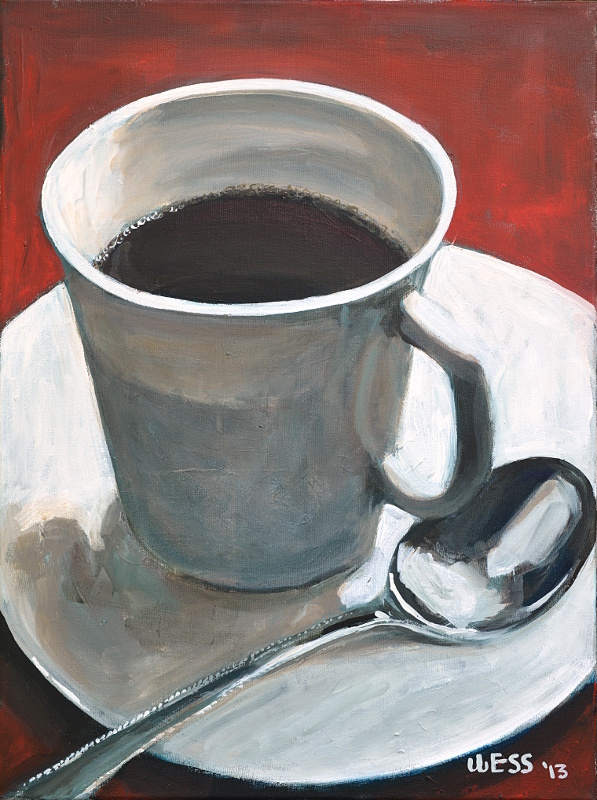 Coffee Cup and Spoon, 24x18"